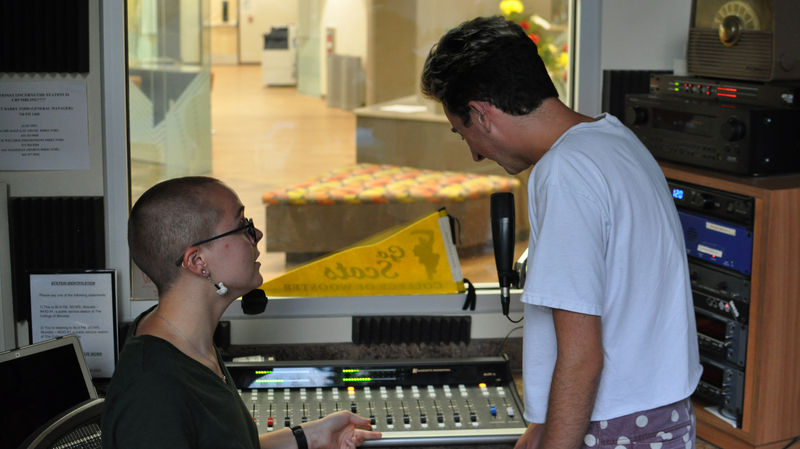 In an email sent to the campus community over the summer, Dean of Students Scott Brown announced that the College’s student-run radio station, WCWS/WOO 91, will transition to a webcast-only operation. “The College’s administration recommended, and the Board of Trustees, as holders of the FCC [Federal Communications Commission] license, agreed that effective this fall, the station will continue as a webcasting entity only, and cease over-the-air broadcasting,” Brown wrote. First, Brown cited that fewer College personnel have the necessary skill sets to maintain the radio equipment and oversight. Next, Brown stated that “FCC regulations and reporting requirements have become stricter and more tightly policed, creating significant risk exposure for the College.” In the past, the FCC would “come to campus to see the station’s public files, transmitter logs and other compliance materials, but as of January 2018, those materials are required to be online.” Breaches can be flagged by the FCC and thus trigger significant fines in real time. Brown stated that this decision was reached “after careful analysis over time and conversations with the station’s student managers.” Ultimately, however, the administration and the Board of Trustees made the final decision. Gabe Dale-Gau ’18, a former WOO 91 managing member, also responded to the changes. “As much as it pains me to say, FM radio is an antiquated medium. Receivers are perceived as relics, not gadgets. They are no longer commonplace in households or dorm rooms, and soon they will disappear from our vehicles as well. The decision to shut down the tower has been in the works for many months. It was an arduous undertaking, and thanks to the former faculty advisor, Bob Henery, the 2017-18 management team was in the loop for the entire process,” said Dale-Gau. Harry Todd ’18, another former managing member of WOO 91, disagreed that the student management team was part of the decision process. “We were presented at the beginning of the year with a vague warning that there were talks of shifting the station,” said Todd. “This came from Bob Henery — who, as far as I could tell, was telling us what the administration didn’t necessarily want us to know. I then focused my goals as the GM [General Manager] of the station to changing policies [and] bettering our chances of staying on broadcast. When we finally had a meeting with Scott Brown about the future of the station — after months of trying to get him to attend our meetings, I might add — in April, it seemed like a bygone conclusion that the station would be taken off broadcast.” Todd added that he felt the administration made a significant decision with little engagement from students, who would be affected the most. When asked about the allegations that the students involved in the radio station were not consulted until the very last minute about the possible changes to WOO 91 and it being taken off air, Brown replied that much of the decision-making process was accelerated by the context of changed regulations with the FCC, radio personnel and support staff and the number of live DJ– produced hours. “As we knew our options, we came to the students, being frank about the context we were in and how we might best move forward. I have spoken to Sam Royer last week about ways to support the students moving forward,” said Brown. Even though WOO 91 will no longer be broadcast on air, the current management of the station remains optimistic for its future.